Since our inception in 1996 we have committed ourselves to providing recognised South African qualifications to contribute to the body of managerial talent. RECOGNITION is reflected in Southern Business School’s status as a Private Higher Education Institution and endorsements from public and private Higher Education Institutions. We recognise previous learning experiences. 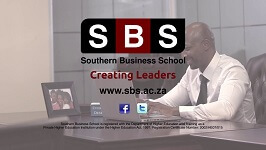 WHY CHOOSE SOUTHERN BUSINESS SCHOOL?